Service Management Journey: Request Fulfilment - How Good Are You? Request Fulfilment - How Good Are You? Since one of the key goals of Service Management is to ensure the customer has exceptional customer service, we need to make sure that the way we provide services through request fulfilment is top shelf. You may be thinking to yourself right now where your teams excel and where they falter in regards to providing that service through your service desk. The question is how accurate are those assumptions? While you may have metrics that show how well you are doing, do you really have a good grasp on how well you provide service? For the most part, generally speaking, we are talking about the speed of service delivery and the quality of the service provided. So I will talk about those. Increasingly as time goes on there will be an increased expectation the rate at which we deliver services. What was good last year may not be good now. Let’s assume that you have been providing service to your customers the same way for many years without complaint. While you believe the rate at which you provide this service is acceptable, without quantifying it you may be doing you and your customers a disservice over a period of time. Think about it in these terms, many studies indicate that customers want their requests completed, questions answered and problems solved as quickly as possible. In the past a 24 hour turnaround may have been acceptable, now as many as one third of modern consumers (those who utilize Twitter and Facebook) want action in some form in 4 hours or less. In addition customers expect a variety of ways to engage with those who provide services to facilitate this. They are looking for phone, email, and various social media outlets in order to accommodate this. Having some form of self service available will further improve your ability to further ensure the speed at which we are able to respond to customers. In fact many customers now expect it. For example, have knowledge records available for common questions. Also ensure you have automated workflows to account for standard requests. Being able to provide a personal touch for your customer requests allows you not only to address what the automation does not but it gives you the opportunity to informally poll your customer base while they you are helping them. Identifying why they are calling may help you to streamline the self service options you currently provide. It will also give you a chance to see what your customers are doing and potentially gaining some insight into their future business needs. Gathering this informal information may help your team to identify areas where you can improve. 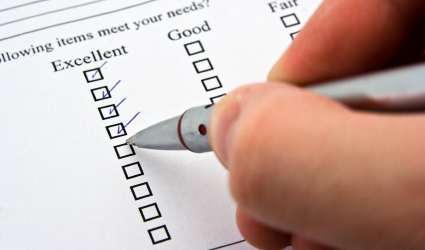 Ultimately, despite what your “numbers” say you should regularly be reviewing your ability to provide request fulfilment through as many angles as possible to ensure that your customer experience is an excellent one. The analogy is the frog in the boiling water. If a frog is in a pot warm water and you gradually turn the heat up to the boiling point the frog may not realize until it’s too late. Talk to your customers to continually improve your service.